STEPHANIE BROWN, PhD, is an internationally recognized expert on the treatment of alcoholics, adult children of alcoholics and all addicts and their families, based on her research defining a developmental process of active addiction and recovery. 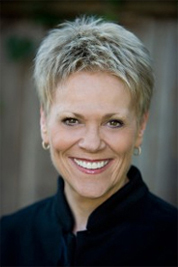 Dr. Brown is the widely-published author of eleven academic and popular books on addiction and recovery, including her acclaimed first book, “Treating the Alcoholic: A Developmental Model of Recovery.” She is a licensed psychologist with more than 35 years of clinical experience, a researcher, a consultant and a frequent lecturer in the field of addiction. Dr. Brown is the founder and director of The Addictions Institute, an outpatient counseling and therapy program in Menlo Park, California. She was the founder and director of the Stanford Alcohol Clinic at Stanford University Medical Center, and a Research Associate at the Mental Research Institute where she co-directed The Family Recovery Project. A consultant to clinicians, treatment centers and researchers, she lectures frequently to professional and lay audiences.